Happy Wednesday friends! Thanks so much for sharing the excitement with us about the move and vacation rental! I re-read yesterday’s post and realized I was kind of vague about why we’re leaving the desert and I don’t want to be that vague writer that doesn’t talk about what’s REALLY going on, even when it’s not truly a juicy story. So here’s the skinny: We’ve really struggled with meeting people and making friends in Palm Springs. For the first 15 months we literally knew no one except our real estate agent. Because of that we were constantly going into LA and San Diego to spend time with friends, or having friends come out for the weekend. Every attempt we made to meet people was a dead end and kind of laughable (senior citizen tennis lessons anyone?). Being that we both work from home and have no industry base here in the desert, there was a lot of US time, maybe too much US time to be honest. – Thoroughly wash and dry carrots, remove any greens. – In a small mixing bowl combine coconut oil, maple syrup, sea salt and orange juice. 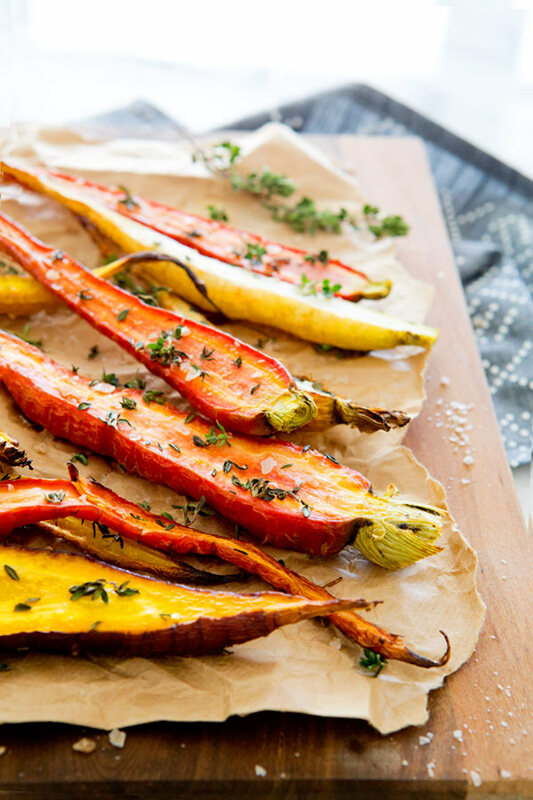 Pour over carrots and spread evenly on a large baking sheet. 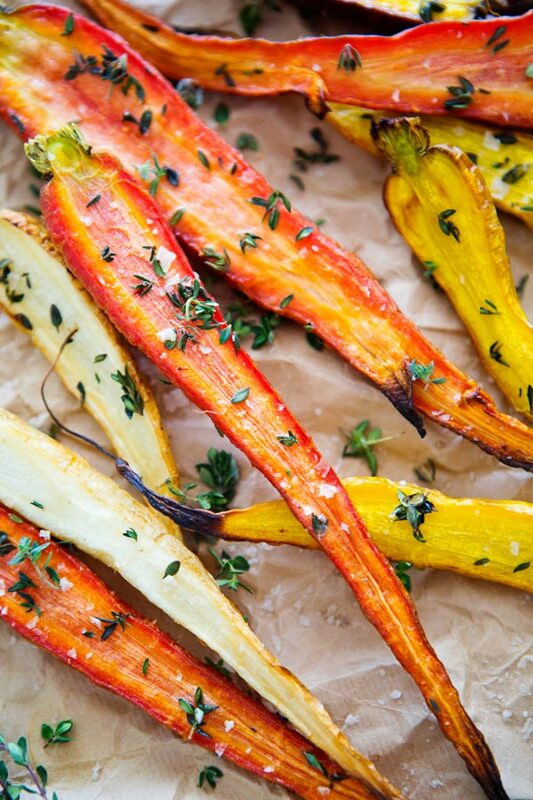 – Sprinkle with thyme and roast for 30-45 minutes, until carrots are crispy. – Generously sprinkle with finishing salt, a few fresh thyme leaves to garnish and serve immediately! this look so so good! I'm definitely trying this recipe! that makes so much sense, and i can totally see why you need to move back. i'm so excited for your house to be done- it's so so gorgeous. i wish i could vacation there, but i'm sure it will be much to pricy for me 😉 as far as your half empty apartment- i bet you'll turn it into a super stylish place in no time! I totally agree with you Sarah – it's hard to make lasting friendships of a similar variety to your younger years after age 30. I think there was a NYT article about it a few years ago. People are already set in their ways and rather established. It seems that my friends in their 30s or older who made new friends did so on account of their children having similar interests. I'm in my 30s and I don't have children — which admittedly leaves my husband and I out of things sometimes…which is ok because we don't really want to go to 2 year old birthday parties (ha!) – but it does leave a greater void when it comes to forging lasting connections. In addition to vacationers, you can market your house as an artists' retreat (are you doing that? you guys are smart, you probably are! )….writing, painting, crafting, creating in the desert! You'll have renters who will appreciate and take care of that beautiful space in no time! Congratulations! Oh I SO understand what you mean. My boyfriend and I just returned to Denver (our hometown) after spending 2 years in Seattle experiencing the same thing. At first you're optimistic about the new adventure, then really sad and upset every time you have to go back home after seeing your friends, and finally there's a deep loneliness that sets in. We also ended up in a smaller space (at least for now) but I don't mind since we get to see the people we love 4 or 5 times a week. The older I get the harder it is to make true friends like the one's we've had for years. My husband and I moved from Massachusetts to Oregon a little over a year ago. It was a hard move leaving all of our friends, but slowly we are making some in our new community. I'm glad you guys are moving where all of your friends are. Makes all the sense in the world to me! 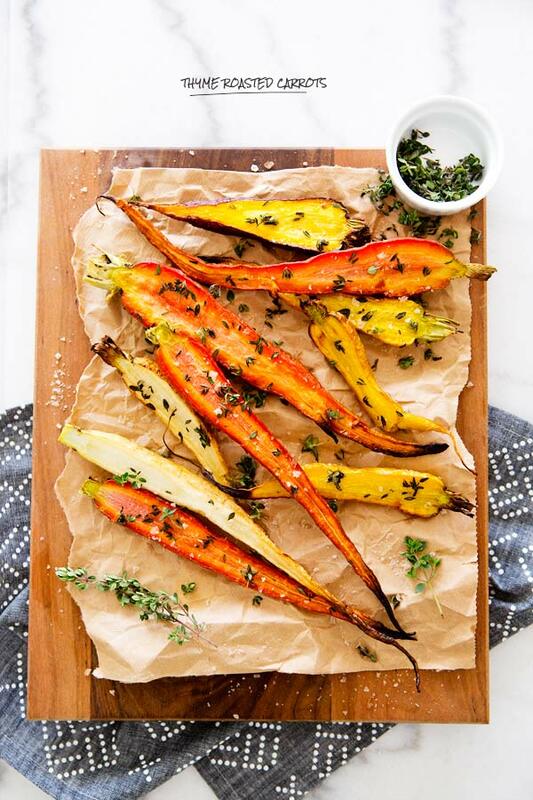 These carrots looks wonderful!! Stunning recipe and equally beautiful photos! This is first recipe I have tried of yours, but it definitely won’t be the last. 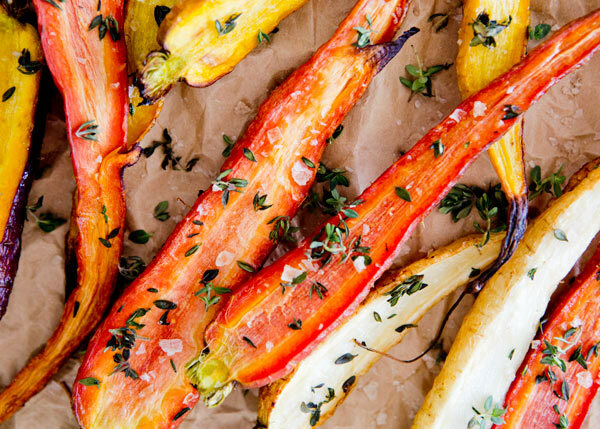 I made these carrots last night and they were absolutely amazing. Thanks so much for sharing the recipe!